I’m rather fond of birthdays. What with despising Christmas, they’re a holiday for giving or receiving presents and being self-absorbed, without all the ickiness that comes from the other major present-oriented holiday. So while I’m prone to working on Christmas just to spite it, I always take my birthday off. And that means last Wednesday was a total unadulterated day off. I spent it making things I wanted to eat, then eating them. Like this. 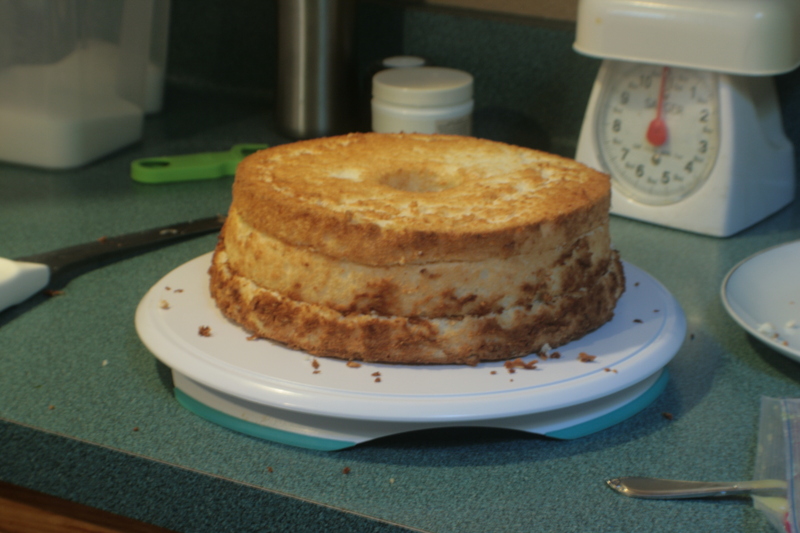 That’s an angel food cake. I used the Joy of Cooking recipe. 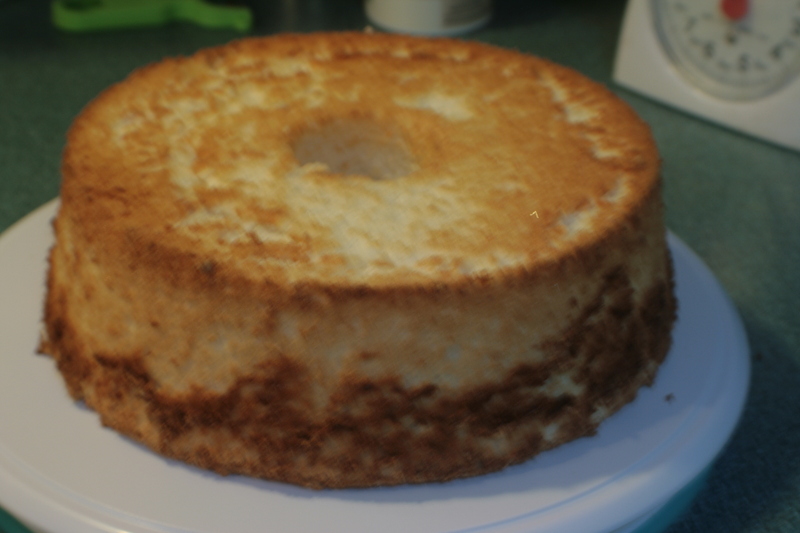 I didn’t take any process photos because, meh, I’ve already taken a ton of pictures of well beaten eggs, and that’s about all angel food cake is. 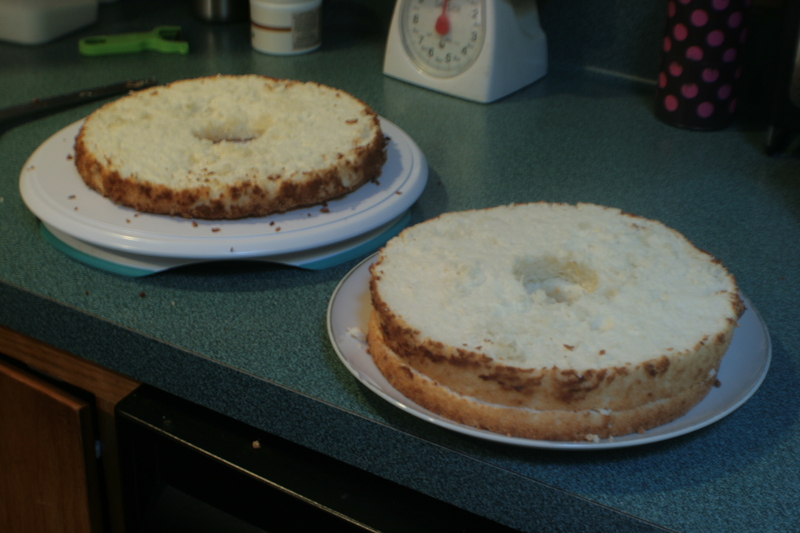 However, for my birthday, simple angel food cake was not enough. So I sliced that sucker into three layers. I used a serrated knife and was super, super careful. 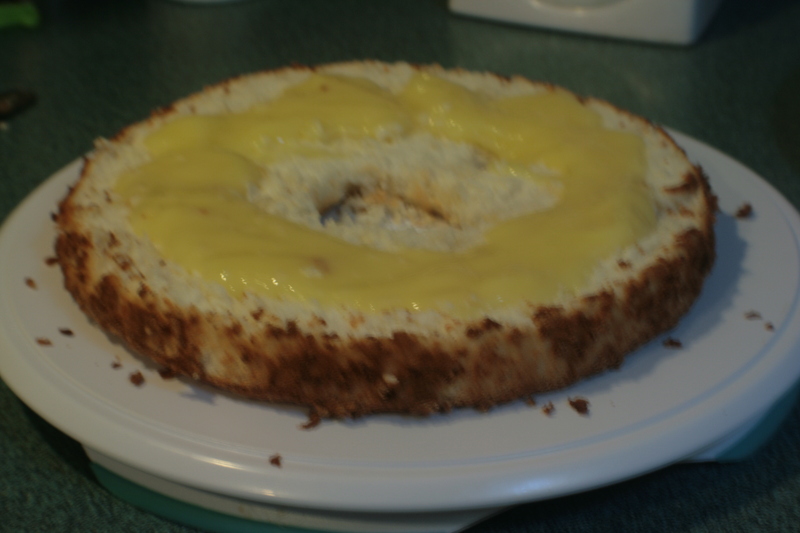 Angel food cake is not exactly made of structural integrity. I did a pretty decent job of keeping the layers even, and didn’t tear or crumble any of them. That’s lemon curd. Because I just happened to have lemon curd in my freezer. That’s how we roll in this house. 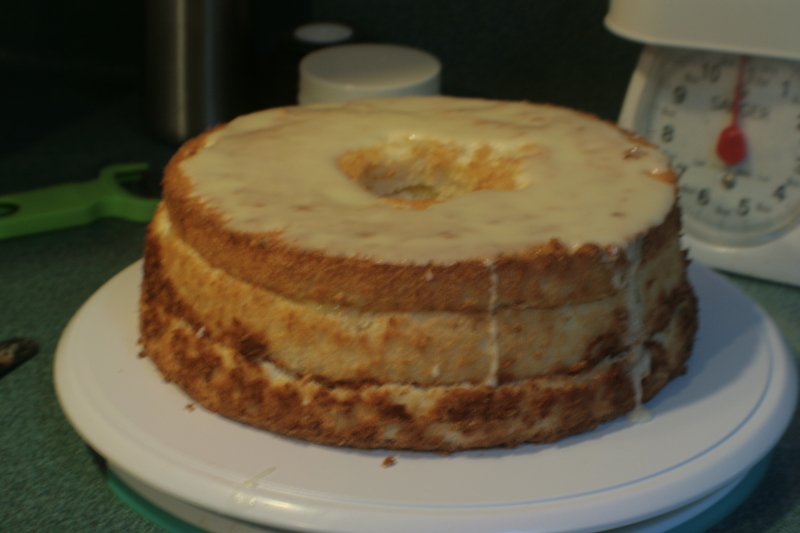 The lemon curd went in between all the layers, and then the cake had been put back together. But no, I was not yet finished gussying up this cake. That’s a lemon glaze. In hindsight, artfully drizzling it over the cake would have been prettier. I could have put more glaze on it for that look, but it would have been much, much too sweet. This got served with the pint of strawberries that came in our Wednesday CSA box. It was phenomenally good. Once we cut the cake it lasted about half an hour. I had three slices. I am not ashamed. Oh my yes, that was an amazing cake.